There's a battle brewing underwater. 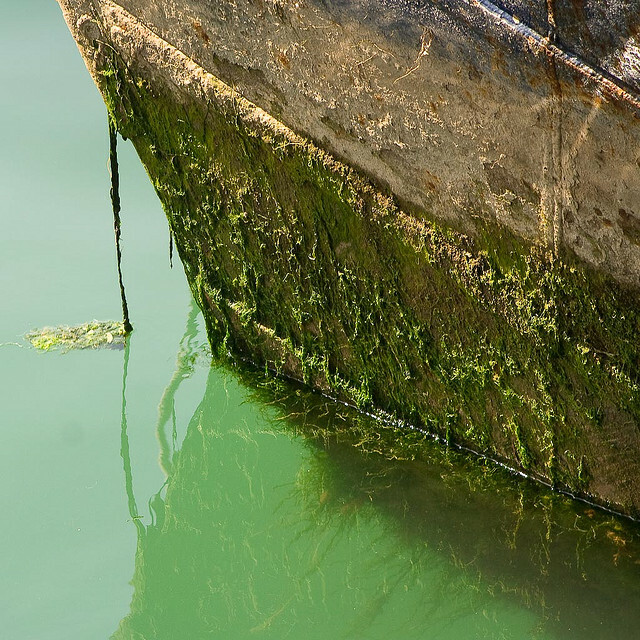 Every year millions of dollars are spent combating bacterial films, called biofilms, that grow relentlessly beneath ships, corroding the structure, clogging undersea sensors, and adding drag that can increase fuel consumption by up to 40 percent. Ship hull covered with biofilm scum. Image Credit: Graham B. Now, scientists at Duke University have developed a new dynamic material that can be painted onto the bottom of boats and will shake off even tenacious bioscum. 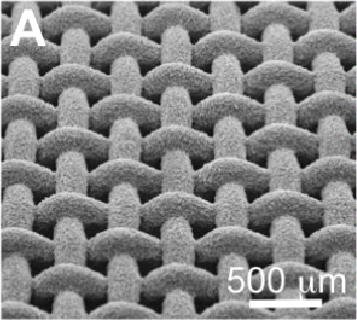 Key to the effective and environmentally friendly new material, published this month in the journal Advanced Materials, is the ability to "wrinkle" at the microscopic scale. Morris uses a size ratio of 1.5, meaning each domino is one and a half times larger than the last one. This is the generally accepted maximum ratio that dominos can have to successfully knock each other over. But this month, Hans Van Leeuwen of Leiden University in the Netherlands, published a paper online showing that, theoretically, you could have a size ratio of up to two. That's in an ideal (and probably unrealistic) situation. But the team at the Dutch Science Quiz (which is a whole cool thing by itself) wanted to test the theory—and nab a world record in the process. So they built some really huge dominos (the largest is 26 feet high and weighs over 1000 pounds), and this is what happened: (sorry, this video takes a bit of time to load; the big domino demonstration is at 6:00. Before that is a lot of talking in Dutch). Check out the podcast to hear more! Physicists are snapping photos of buildings using light that never left the lab. Using a technique called ghost imaging, scientists at the Chinese Academy of Sciences have proposed a method of three-dimensional remote sensing and used it to take images of buildings almost a mile away. 3D ghost imaging of a building located about 1200 meters away. (a) the field-of-view taken with a telescope, (b) the field-of-view obtained by 3D ghost imaging. Disaster struck this weekend in Brazil as a fire broke out in an extremely packed, overcapacity nightclub in Brazil, immediately sparking panic among the partygoers. Thousands of patrons rushed to the club's exits, and one person fell. Tramplings soon followed. Over 230 people died from tramplings, smoke inhalation and falling debris within the club. Many of the victims were students celebrating summer break. A number of factors seemed to contribute to the tragedy: confused nightclub staff, double capacity and sheer panic. Physicists have been studying the dynamics of such crowd stampedes for awhile now, drawing from the field of fluid dynamics. Scientists have offered a number of preventive measures in light of this research, and perhaps these studies can prevent future tragedies. 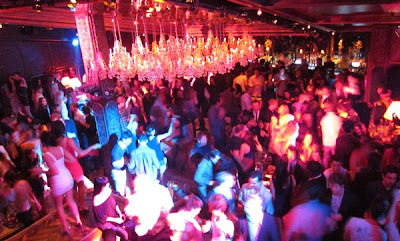 The Griffin nightclub in New York. Image Credit: VancityAllie via flickr. Robotic flappers and models could help researchers understand a basic mystery of fish evolution. One fish, two fish, skinny fish, flat fish – scientists and anglers alike have long wondered about the connection between how the shape of a fish determines how it moves. Researchers are starting to unravel the secrets of fish motion – using some unexpected methods. 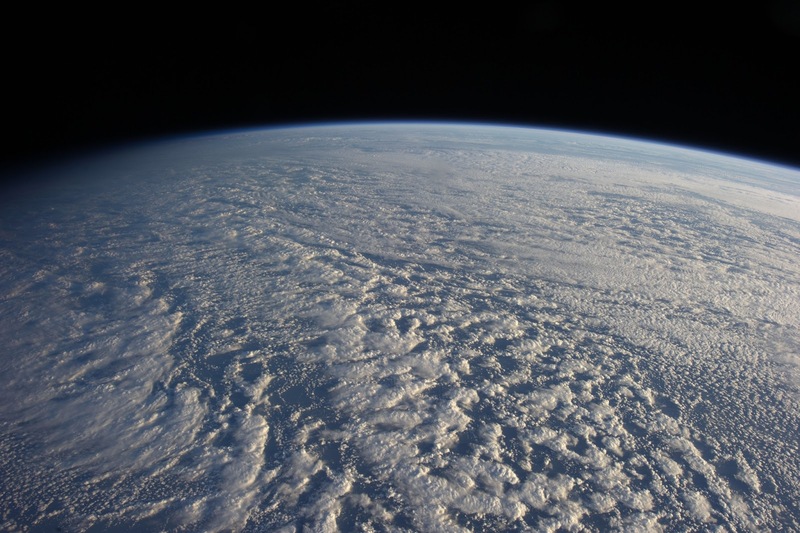 Yesterday, the sun spewed an enormous bubble of magnetically charged plasma towards Earth. Based on observations from the Solar Terrestrial Relations Observatory (STEREO) and ESA/NASA's Solar Heliospheric Observatory, NASA reports that two coronal mass ejections erupted at 9:55am EST on January 23, 2013 and one shot towards earth at a speed of over one million miles per hour. 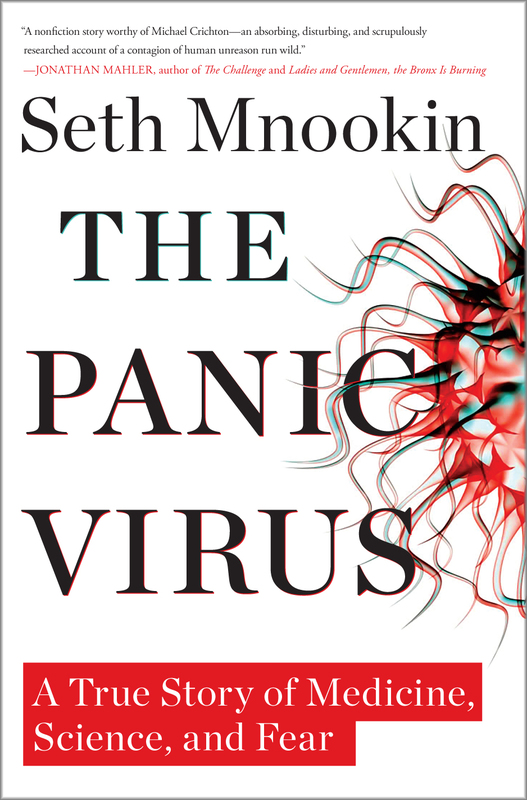 This week's podcast features an interview with journalist Seth Mnookin, whose new book is called The Panic Virus: The True Story Behind the Vaccine Autism Controversy. The book chronicles the history of controversies surrounding vaccines, and dives deep into the question of how a very fervent, very vocal group of people came to believe that modern vaccines can, in some cases, cause autism in young children. In the face of overwhelming evidence to the contrary, how did this belief arise and why has it been perpetuated? An even better question might be: why would we interview someone about a medical issue on a physics podcast? It turns out, the story Mnookin tells in his book has implications for the entire scientific community. Vaccines have always been the subject of controversies: sometimes because of legitimate hazards, but more often because of unscientific, personal beliefs. Physics is all too familiar with cases like this. Remember when someone thought the Large Hadron Collider was going to blow up the world? What about the fact that an alarming percentage of Americans do not believe that human activities contribute to global warming? How do ideas that are so clearly contradicted by science come to be taken seriously by the larger population? 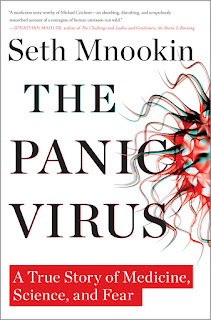 The Panic Virus uncovers some of the root problems that drive a strongly-held anti-science belief from the fringe to the forefront. The general public, the scientific establishment, and the media all bear responsibility, and have something to learn from this tale. Check out the podcast to find out more. Scientists at the University of Michigan have teamed up with the Air Force to create a superomniphobic material coating that repels, well, pretty much everything. The research was published in the Journal of the American Chemical Society, on January 16, 2013. J. Am. Chem. Soc. , 2013, 135 (2), pp 578–581. Copyright 2012 American Chemical Society. Spill a glass of wine, a spatter of oil, a slosh of hydrochloric acid and emerge stain- and chemical-free. "Virtually any liquid you throw on [the surface] bounces right off without wetting it," said lead researcher Anish Tuteja to the University of Michigan press. New research corrects misinterpretations of faraway stars' brightnesses and distances. Giant cosmic voids that account for more than half the volume of the universe could make the stars beyond their boundaries appear brighter than they are, cosmologists have unexpectedly found. Today on the podcast I interview science educator/TV personality/author/science demo-er, Steve Spangler. We talk about how very public science demos can compliment traditional classroom teaching, and how growing up in a family of professional magicians influenced Spangler's move into informal science education. You might know Spangler from his appearances on The Ellen DeGeneres Show; his YouTube-produced show The Spangler Effect; any of his books, including Fire Bubbles and Exploding Toothpaste and Naked Eggs and Flying Potatoes; or one of his thousands of videos and TV appearances. (He is also often credited as the guy who "invented" the Diet Coke and Mento's eruption demo; while he insists this is not true, he may have been the first person to do it on TV.) Spangler is a professional science demonstrator: if you've ever seen a science demo show at an amusement park, a science museum or in your own school, this is a guy who's job it is to come up with those demonstrations and accurately explain what's happening. Spangler was among TIME Magazine's 200 candidates for most influential person of 2012, and was voted number 18 by TIME readers. Here are a few more videos of Spangler's appearances on Ellen (which feature some demo's I mention in the podcast). They're just fun. 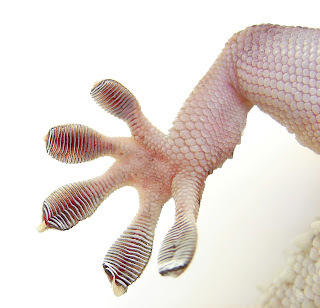 It is almost impossible to read about van der Waals forces in a science textbook without also reading about geckos’ feet. In general, van der Waals forces are the attractive and repulsive forces between two dipole molecules. Gecko feet are padded with microscopic fibers, which adhere to surfaces through van der Waals interactions. 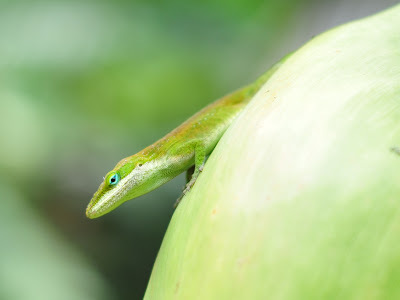 These fibers allow geckos to climb smooth surfaces like glass. Scientists at the Department of Mechanical Engineering at the University of California Santa Barbara have successfully made a reusable dry adhesive inspired by the gecko’s feet. The results were published on January 14, 2013 in the IOP journal Smart Materials and Structures. Before last Friday, Aaron Swartz faced up to 35 years in prison. His crime was using MIT computers to illegally download large volumes of academic papers from the JSTOR digital library, intending to make them freely available to the public. Tragically, the 26-year-old web pioneer committed suicide last Friday, but no one knows all of the factors that triggered his suicide. 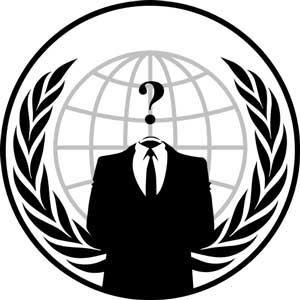 Nonetheless, his death has invigorated and infuriated many in the open-access movement. On Sunday, the hacker group Anonymous posted messages on MIT's website, calling for more leniency in computer crime laws and a "guerrilla" open access push. Their claims and demands regarding open-access, in particular, over-simplify a complex topic. Hey guys! On Wednesday, our weekly Physics Buzz podcast will feature an interview with one of my favorite science enthusiasts in the whole wide world, Steve Spangler. You might know Spangler from his appearances on The Ellen DeGeneres Show; his YouTube-produced show The Spangler Effect; any of his books, including Fire Bubbles and Exploding Toothpaste and Naked Eggs and Flying Potatoes; or one of his thousands of videos and TV appearances. (He is also often credited as the guy who "invented" the Diet Coke and Mento's eruption demo; while he insists this is not true, he may have been the first person to do it on TV.) Spangler is a professional science demonstrator: if you've ever seen a science demo show at an amusement park, a science museum or in your own school, this is a guy who's job it is to come up with those demonstrations and accurately explain what's happening. Spangler was among TIME Magazine's 200 candidates for most influential person of 2012, and was voted number 18 by TIME readers. Listen to the podcast on Wednesday to hear Spangler talk about why even today he stays connected to the classroom, how he compares himself to the likes of Bill Nye and Mr. Wizard (note: we talked about this in the interview, but I didn't have time for it in the podcast), and how science demos (when done right) can compliment traditional, classroom-based science education. Look for the podcast on Wednesday, and in the meantime, if you aren't familiar with Spangler's awesomeness, here are a few videos of him doing what he does best. Investors beware, when something sounds too good to be true, it usually is. Right now an entrepreneur is asking for money to manufacture bicycle parts that he says will give cyclists more power, even though the way he claims it works is contradicted by the laws of physics. 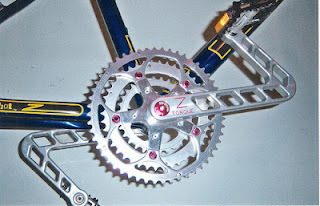 The cranks of a bicycle are what connect the pedals to the front gears. They're lever arms that cyclists exert a force onto the end of, through the pedals, in order to turn the front gears. The front gears pull the chain which then spins the rear wheel, sending the bike speeding along. 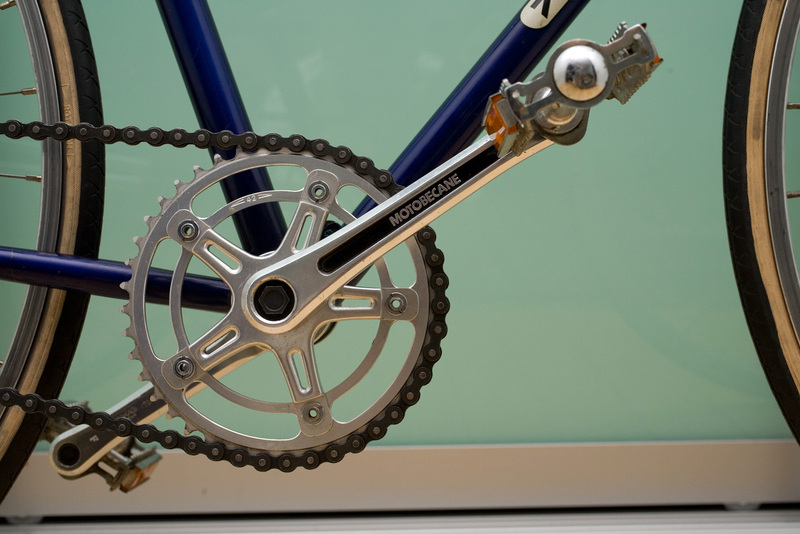 Just about all the cranks on the market are a straight line from the pedal to turning radius. However a company called Z-Torque claims that their cranks give cyclists more power just by changing the crank arms into a bent shape. The problem is that physics doesn't work like the company claims it does. In the 1920's, a group of physicists were at the center of a hot debate surrounding the nature of the quantum world. Over 90 years later, these debates continue. At a recent conference on "Quantum Physics and the Nature of Reality" the quantum physicist, Anton Zeilinger (see interview with Discover Mag. 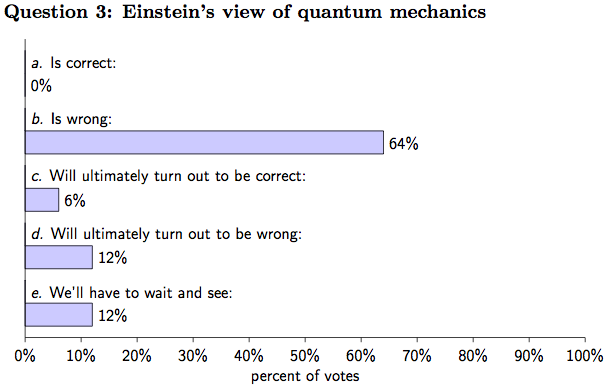 here), polled the 33 attendees – all quantum physicists, philosophers, and mathematicians – on 16 questions that are central to understanding the nature of the quantum world. Data from "A Snapshot of Foundational Attitudes Toward Quantum Mechanics"
The new year is here, but some of us are still stuck on 2012. Can you blame us? It was an awesome year! The Mars Rover landed successfully! We found out that NASA technicians sometimes rock mohawks! Not to mention scientists measured the motion of distant galaxy clusters, which could help them better understand dark matter and dark energy. And somehow, two sets of space probes launched in the 1970's made it onto our list of favorite stories from 2012. Why? The Pioneer 10 and 11 space probes, launched in 1972, have been inexplicably slowing down for the last 30 years; some scientists thought the bizarre behavior was the result of strange new physics, but the mystery proved to be a bit simpler than that. And, if you have an office pool going about when the Voyager 1 space probe will pop out of the heliosheath and into interstellar space, you can cross off 2012 and start placing your bets for 2013. Listen to this week's podcast to learn more. It's a bird, it's a plane, it's the Nuclear Safety Administration. 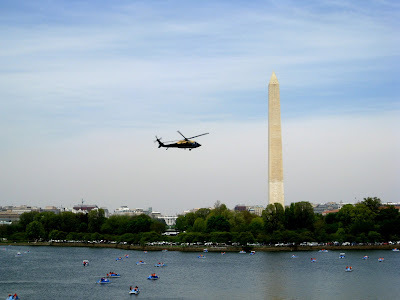 If you're a DC resident, don't be surprised by the low-flying chopper you'll likely hear crisscrossing the city for the rest of the week. 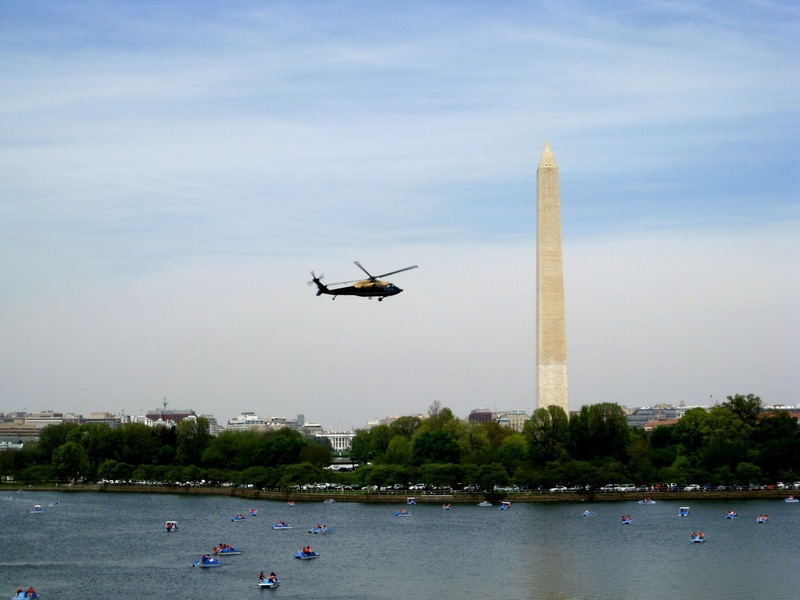 The helicopter, outfitted with a gamma-ray detector, is mapping out DC's natural radiation levels. This map of existing radiation will act as a baseline for future radiation detection. Anecdotally, science majors such as chemists and physicists tend to gripe about having the hardest majors throughout college. Although "hardest major" rankings may be fairly subjective, new survey data suggest physics majors have the 2nd most demanding major. According to a survey of hundreds of thousands of college students in the U.S. and Canada, 36 percent of physics seniors spend 21+ hours preparing for class every week. Only one other group out-studied the physics majors: engineering students. 42 percent of engineering seniors devoted 21 or more hours to studying every week. Researchers behind the National Survey of Student Engagement compiled responses from college seniors on a battery of questions covering their academic experience. Aside from confirming the fairly demanding nature of a physics degree, the study revealed a number of other interesting comparisons among majors. What if everything -- all of us, the world, the universe -- was not real? What if everything we are, know and do was really just someone's computer simulation? In a single year, traffic increased commute time for urban Americans by 4.2 billion hours, used an additional 2.8 billion gallons of fuel, costing an additional $87.2 billion. And those numbers don't even include air pollution. Now, scientists report that they may have found a way to get us out of gridlock. Previous research suggests that simply decreasing the number of cars on the road by encouraging carpools and public transportation would relieve rush-hour traffic. 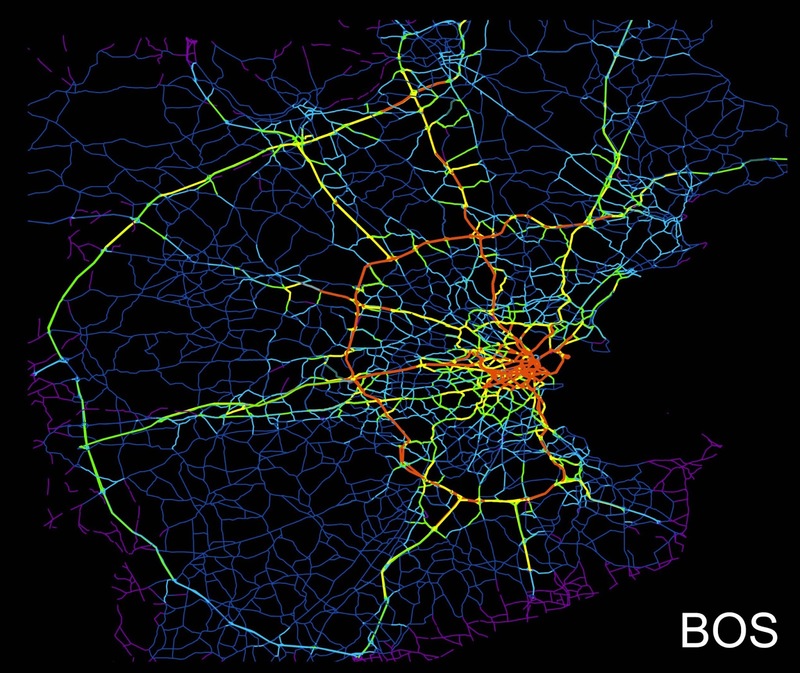 Now, a team of scientists are using locational data from drivers' cellphones to better understand traffic patterns and suggest new ways to relieve that rush-hour rage. The study found that while canceling or delaying 1 percent of all drivers across a metropolitan area decreased traffic by about 3 percent, canceling or delaying the same number of drivers from specific neighborhoods would reduce traffic across the city by almost 20 percent. Bundle up and head out tonight to watch the 2013 Quadrantid meteor shower make its annual new year trip across the night sky. The meteor shower will peak in the early hours of January 3rd, with the shower rates increasing after midnight and peaking between 3 a.m. and dawn. Like the Geminid shower that appears in December, the Quarantids stem from an asteroid. Research suggests that this asteroid is likely a piece of a comet that fractured hundreds of years ago. The shooting stars we see tonight are fragments of the comet that soar through our atmosphere at 90,000 mph, burning up as friction against the atmospheric air particles heats the meteors to over 3,000 degrees Fahrenheit. The Quadrantid shower gets its name from the Quadrans Muralis constellation, created by the French astronomer Jerome Lalande in 1795. Sound unfamiliar? That might be because the Quadrans Muralis is no longer recognized by astronomers. When the International Astronomical Union agreed upon a list of 88 constellations at its 1922 inaugural General Assembly in Rome, the Quadrans Muralis didn't make the cut. 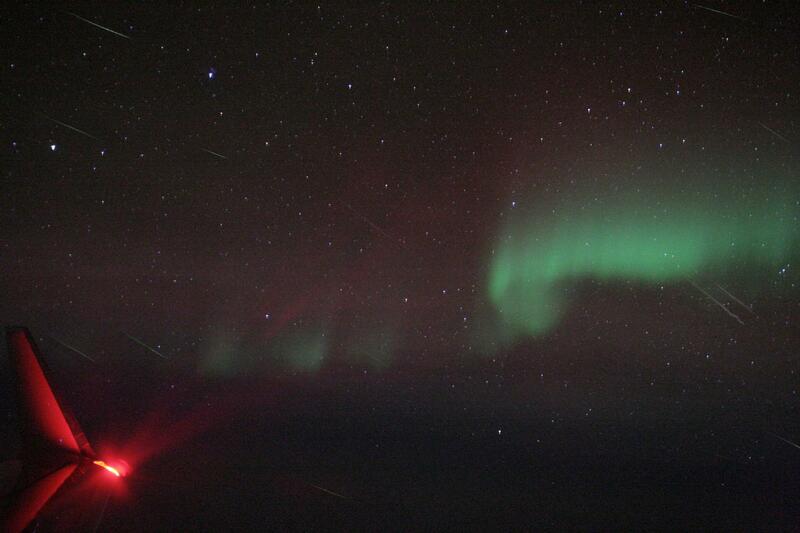 But, since most meteor showers are named after the constellations from which they appear to radiate, the name stuck. Tonight, NASA expects the maximum shower rate to be about 120 per hour, but warns that the waning gibbous moon will likely wash out the fainter meteors. For the maximal stargazing experience, NASA suggests finding a viewing spot away from city lights, and allowing your eyes 30 - 45 minutes to adjust to the dark. Unlike the Geminid or Perseid meteor showers though, the peak Quadrantids only last a few hours-- tonight's the night! If the cold wee hours aren't your thing-- you can also stay cozy at home and watch NASA's livestream of the shower which will begin around 6 p.m. January 2-4.